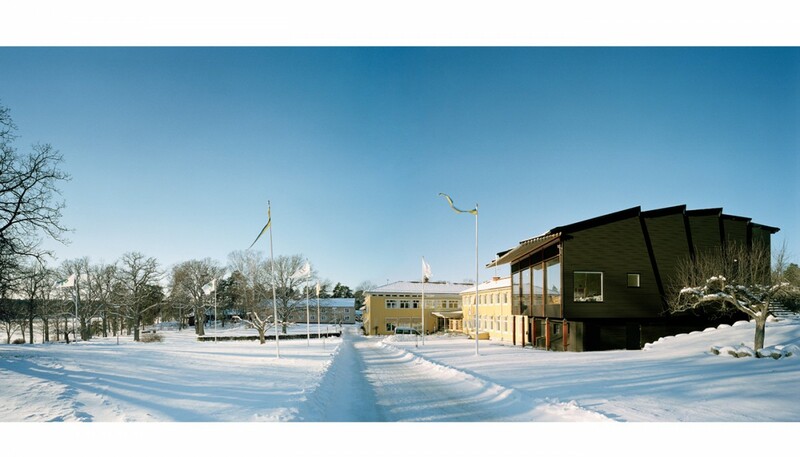 The conference complex Sånga-Säby is situated on the island Färingsö in lake Mälaren. 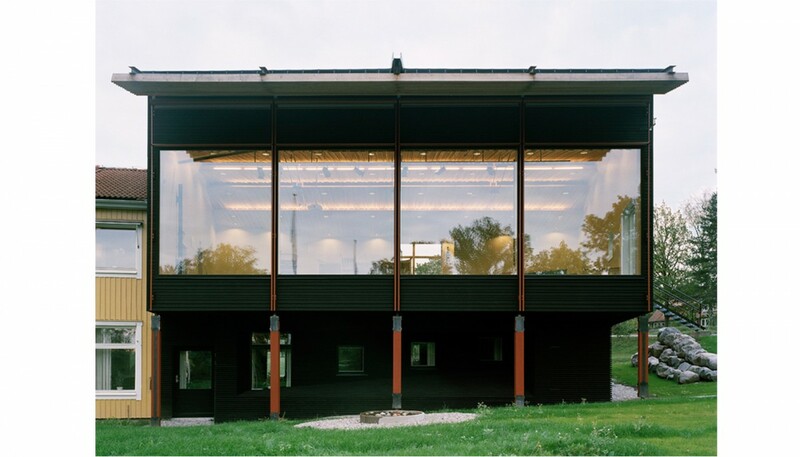 As a complement to the existing buildings Tovatt Architects & Planners designed a new auditorium. The new auditorium will increase the capability to host larger conference groups and will create a new appearance for the building. The proposed extension is a combination of new elements and the existing structure; a section of the upper floor of the existing building is demolished to make room for the new volume. This new building structure is kept independent, allowing continued activities in the lower level while the extension is under construction. 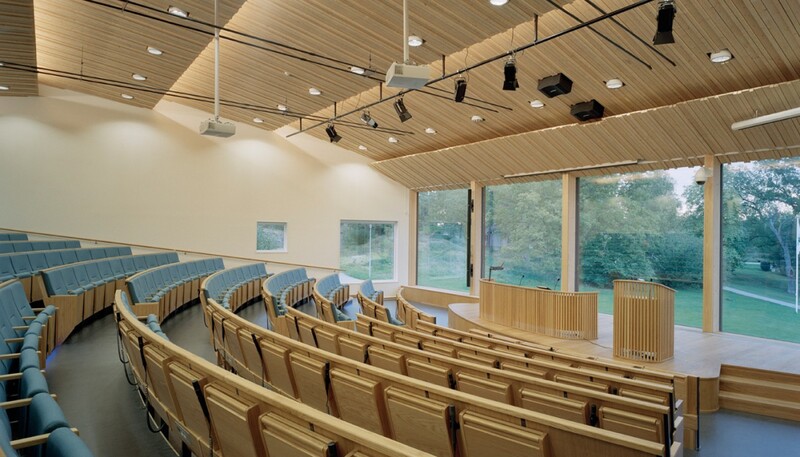 The new auditorium will be the first a visitor to Sånga-Säby meets. 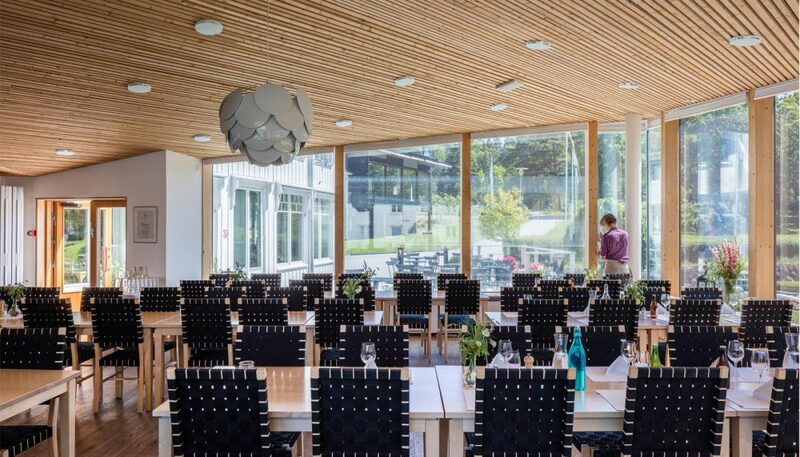 A glassed wall behind the podium will showcase the indoors activities to the outside, as well as giving a framed view from the inside of the oak trees in the gentle slope towards the lake edge. 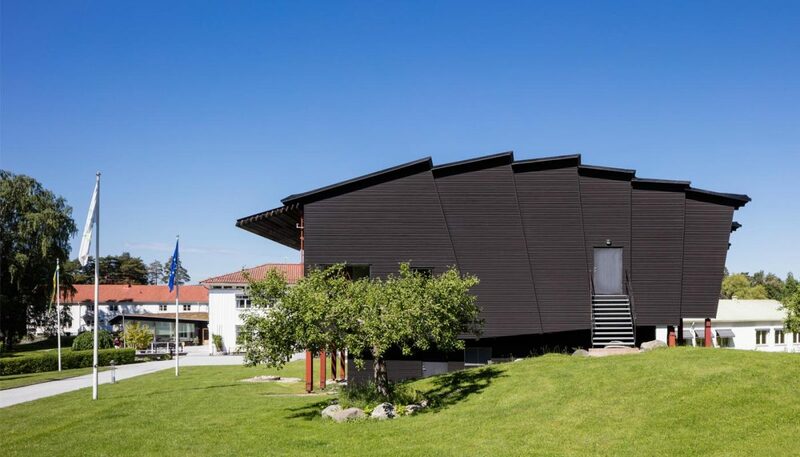 Tovatt Architects & Planners also designed the addition of 65 seats to the auditorium and an extension of the dining area as well as several smaller and bigger commissions to develop and maintain the complex including the the concept and building permit for a new hotell building. Project type: Invited competition and construction design. Program: 190 seats (+ 30 extra seats) 300 m2 extensions and 300 m2 remodelling. Later extension with 65 additional seats, extension of dining area and more. Please contact Johannes Tovatt if you want to know more about the project or how we work with builing design. 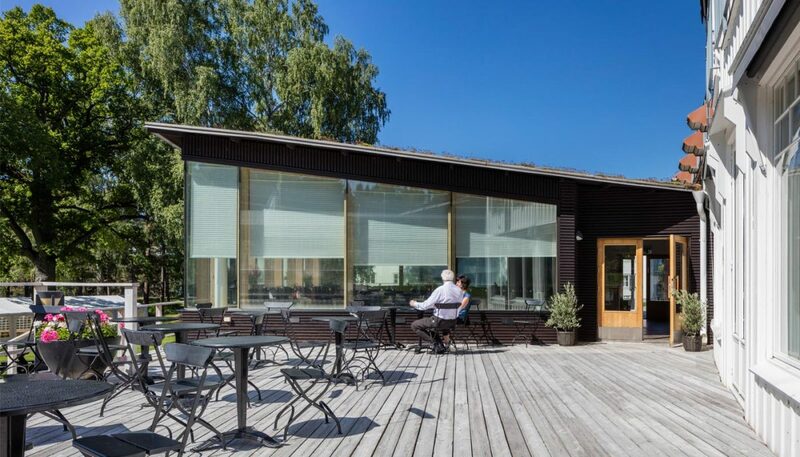 The glazed front facing the park and the lake behind with a combination of technical solutions to create a wide range of possible levels of openness and sun protection for different events, weather and seasons.